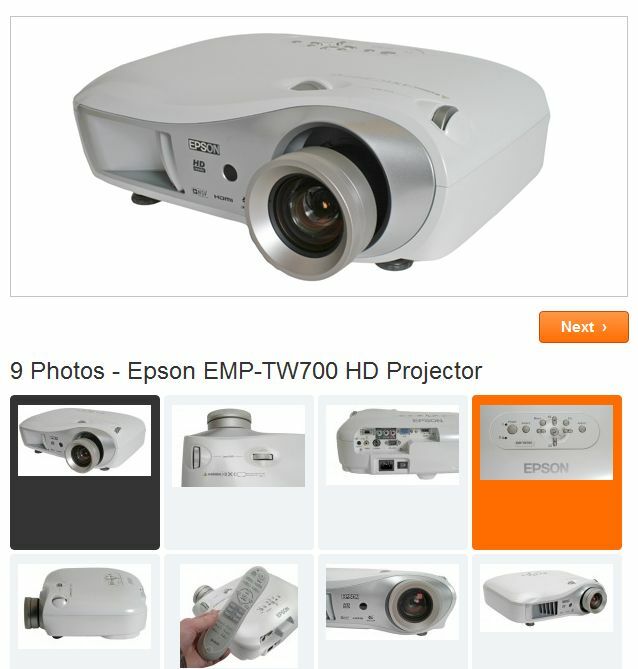 The TW700 is based on Epson’s 3LCD technology, which stands as the main rival to Texas Instruments DLP. Light from the lamp is shone though three separate high-temperature polysilicon LCD panels, a red, green, and blue, and the image then recombined before being projected outwards by the lens. There’s a cool animation of this affect on the Epson website. Epson claims that 3LCD gives a better image than DLP, as each colour is present the whole time in the image, as opposed to DLP, which uses tiny rotating mirrors into fooling the eye that the colours are always there, leaving it susceptible to the ‘rainbow’ image that some users claim to see. I think of it as the difference between a progressive and an interlaced image, but in terms of colour. For the money the Epson’s delivers an awful lot – offering HD resolution and an HDMI port as well as component. It’s also very easy to set up and delivers smooth, detailed pictures. However, it needs a dark environment to get the best from it and even then colours are touch muted. Still, you’d be hard pressed to find better for the money.